We frequently work with designers and many go the extra step to get exactly what they envision for their clients. Designer Magan Toth had a picture in her mind of the perfect chairs for a client's breakfast nook in Boones Mill, Virginia. Since Magan was the inspiration for the Greenwich Parsons Wing Chair, we wanted to find out what exactly led her to this design and give credit where credit is due. What I adore about this chair is that it is a modern combination of a classic wing chair and a parsons chair. The shallow wings on a widened parsons chair make for an inviting, substantial, and more proportional seat. This shape, in addition to a shortened skirt, is made with just the right combination of classic and modern lines. I completed this chair design with an oversized floral patterned fabric and contrast piping to create a bold statement in the room and to enhance the backdrop of the chair's oversized back. The result was a wonderful chair that I was fortunate enough to see added to Carrington's permanent collection. I appreciate the exquisite quality of construction, pattern matching, and overall care that Carrington extended to this collaboration. This has surely been a valuable experience and opportunity, and I would like to thank Brad and Tricia Haas for making my client the first to have this chair in their home. We frequently do modifications to our styles, but it is rare for one to actually make it into our line. Once we saw Magan's completed design we were in love. I can't tell you how many employees commented on how great this chair turned out. Of course we wanted to share it with the world and The Greenwich Parsons Wing Chair was born. It takes a lot of hard work, experience and training to get where Ms. Toth is today. 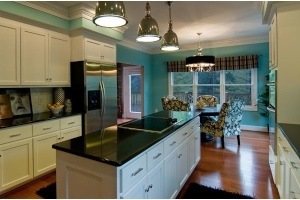 She is a graduate of Virginia Commonwealth University with a degree in Interior Design. 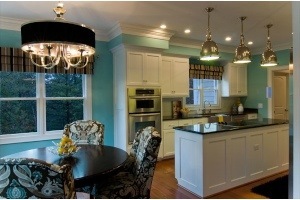 She has over 10 years of professional experiences in both residential and commercial projects. Prior to owning her own firm, she worked for several award-winning architecture firms in the mid-east including Glave & Holmes Associates in Richmond, Virginia, and Bizios Architect in Durham, North Carolina. 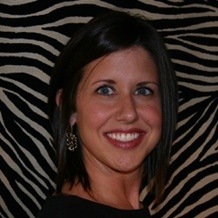 Magan has taken her experience to a new level and founded the interior design firm, Nested Interiors, in Durham, NC. Her design interests and interior environments reference an eclectic range of designs trends, history, and collectibles. Aside from the standard array of professional interior design services, she says that Nested Interiors focuses on creating custom interior environments that are personal, livable, and accessible.